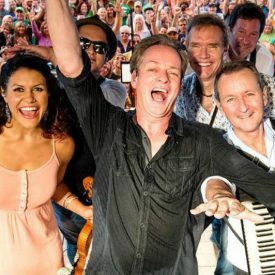 Mark your calendars for August 23 – 24 – 25, 2019, for one of the best Irish festivals in the Midwest … the Peoria Irish Fest! You’ll love what we have planned for you! Outstanding music and dance. Celtic culture galore through Highland Games, exhibits and interactive sessions. Delicious food and drink. Legions of laughs and mounds of memories! If you enjoyed yourself at our fest, then please take a moment to thank the sponsors that helped make it happen. Let them know you appreciate their support of YOUR fest, every chance you can! Giving back to our community is always a priority with Peoria Irish Fest. 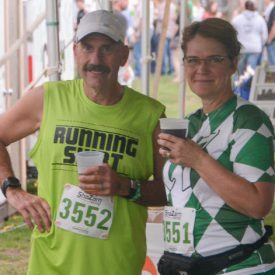 Our Happy Hour 5K, always benefits a local charity to make our community stronger in so many ways. We hope you’ll join us. Even if you WALK the 5K, you’ll be doing a good turn! 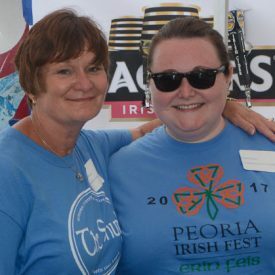 Peoria Irish Fest simply cannot live without our wonderful volunteers. We always need more help, so why not you? Volunteer to help, and you’ll be so happy you did — from the great time you’ll have to the outstanding people you’ll meet.